The Kansas City Chiefs have released former All-Pro Safety Eric Berry. The move comes on the heels of a very busy week from the Chiefs, which also has included the release of former All-Pro LB Justin Houston and the decision to trade franchise tagged pass rusher Dee Ford to San Francisco. Eric Berry will go down in history as an all time great Chief, and one day his name will sit in the ring of honor at Arrowhead Stadium. It’s very sad, and unfortunate that his tenure in Kansas City had to end the way that it did, but the decision to release Berry is, in my opinion, the correct move for both the Chiefs organization and for Eric Berry as well. Berry was the 5th overall pick in the 2010 NFL Draft out of Tennessee. He came to Kansas City with a lot of fanfare and a lot of expectations. He lived up to all of them as a rookie, tallying 87 tackles, 4 interceptions (including a pick 6), and earning the honor of being selected to the Pro Bowl. However, his 2nd year in the league, Berry would tear his ACL during the first game of the year against the Buffalo Bills. He would return a year later and post back to back Pro Bowl campaigns in 2012 and 2013, and was also named 1st team All-Pro following the 2013 season. Then in 2014, Berry would play only 6 games, midway through the year it was announced that he had been diagnosed with non-hodgkin’s lymphoma, a form of cancer. Berry would have to withdraw from football and seek treatment. In 2015 Berry would return to the Chiefs, having not only beaten cancer, but absolutely obliterated it. He returned to post back to back 1st team all pro seasons in 2015 and 2016. Earning himself the right to become the highest paid Safety in the NFL. However, from there, Berry would rupture his achilles tendon in week 1 of the 2017 Season against New England, and only appear in a grand total of 3 more contests as a member of the Chiefs. Despite the way it ended, he became more than just a 1st round pick, he became more than just a player. He became and inspiration to millions, and an icon in Kansas City. If that doesn’t sum it up enough for you, you can read this article written by Rustin Dodd on The Athletic about who Eric Berry was in Kansas City. Eric Berry’s career is not over, and as Chiefs fans, we should wish him the best. I would expect him to get a good look, possibly in Cleveland, as former Chiefs GM John Dorsey was rumored to be trying to trade for Eric, before the release became official, or possibly Atlanta where former Chief GM Scott Pioli (who drafted Berry) is in the front office. 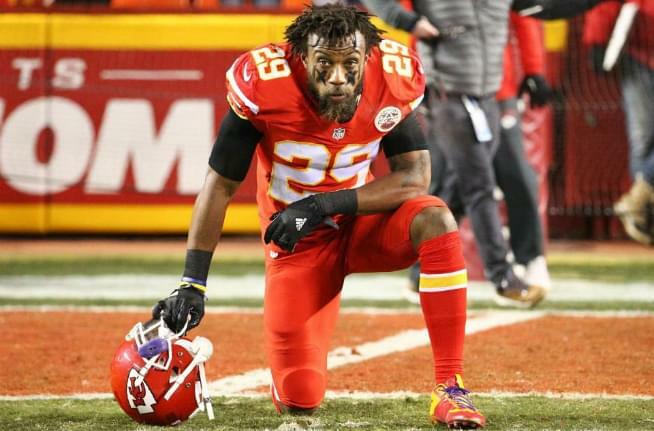 Regardless of where he ends up though, I think that the Chiefs Kingdom needs to remember the good times, not the last 2 years, the good times with Eric Berry, and always remain #BerryStrong in Kansas City.